Back in 1996, Capcom, known for Street Fighter and Megaman, surprised the gaming world by bringing us Resident Evil, a zombie game that would give birth to a whole new genre: survival horror. It was as much about shooting zombies and monsters, as it was about managing your inventory and keeping yourself alive in a claustrophobic and relentlessly tense environment. Many games tried to ape its style, but few succeeded. This success came at a price, however. Its sequel was a stunner, but after that they started to become a little repetitive and the franchise began to grow stale. In 2005 Capcom injected new life (or should that be unlife? Undeath? Okay, I’ll stop) into the series with Resident Evil 4, and although it was a monumental success and earned many, many, many awards, it started the series down a path that moved well away from survival horror. Many fans grew tired of this new direction after that, which unfortunately led to them missing out on the fantastic Revelations games. 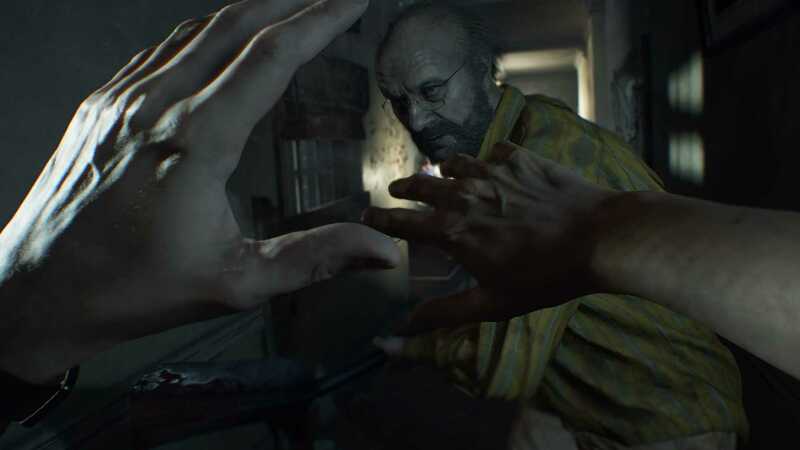 They wanted a return to the horror of the first game, and Capcom has finally listened. So here we are, over twenty years after the release of the PSOne’s Resident Evil, and survival horror is well and truly back with Resident Evil 7: Biohazard. 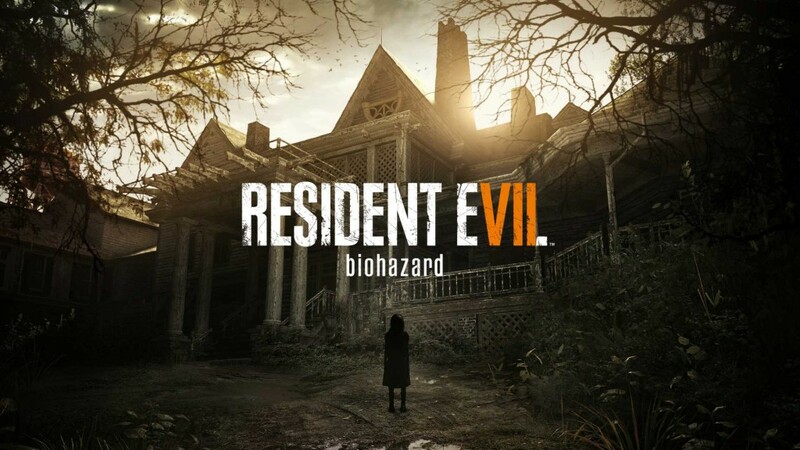 One year after the events of Resident Evil 6 and its C-Virus outbreak, this game begins a whole new story set in the Bayou, as new character Ethan goes in search of his missing wife Mia, after a mysterious video message is delivered to his email. Arriving at Mia’s last known location, a house in the middle of the marshes, things soon go downhill for poor Ethan. But you’d guessed that already, hadn’t you? It’s not called Resident Friendly, after all, and the Baker family certainly aren’t the welcoming type. Right from the beginning, this new title feels at once fresh and familiar. 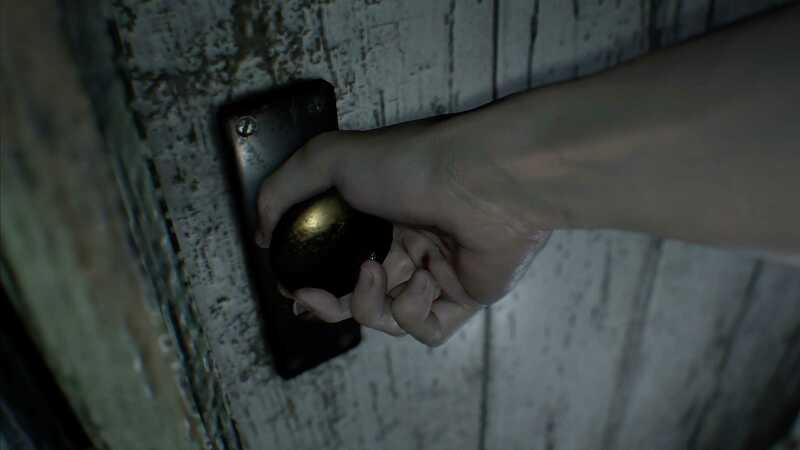 The new first-person perspective helps to enhance the claustrophobia of the Baker house, the darkness clawing at your nerves as you explore the narrow corridors. It’s this exploration that brings back memories of searching the Spencer mansion in the original game (or the 2002 Gamecube remake), as you search for specially shaped keys or certain items that will allow you to progress. But this time, it isn’t zombies that will be after you. Taking inspiration from the likes of Amnesia: The Dark Descent, Outlast, and Alien: Isolation, as well as a gentle nod to the loveable Nemesis from the third game, Resi 7 sees poor Ethan being pursued by the creepy and incredibly intimidating Jack Baker. His mad rantings and threats ring out in the dark house, his heavy boots thudding on the dusty floorboards as he stalks you. The sound design is astonishing, the sparse score only creeping in from time to time, as the creaks and cracks of the old wooden beams have you constantly checking your surroundings, confusing you and making you think that Jack is always behind you. Unlike most of the games that inspired it, though, you can fight back if you have found the means to do so. The combat is weighty, visceral, and satisfying, but ammo is scarce and enemies take a lot of punishment, so you need to be careful. Much like the Nemesis, Jack will not stay down for long, either. If he finds you (and he will, with terrifying efficiency) he is relentless, even smashing through obstacles in order to bludgeon you to death. That relentless tension is present throughout this story, even in the moments when you’re alone. The atmosphere is unbearable at times, with shadows moving in your periphery and muffled footsteps coming from the floor above, there’s more to be afraid of than any previous game in the series, despite there being less enemy types than ever before. That doesn’t mean that Jack is the only one to fear in the Baker household, there are also the Molded: mysterious creatures made of black goop, teeth and claws, as seen in the final version of the Beginning Hour demo. There are also the other members of the Baker family, seen through the fantastically eerie VHS tapes that you can pick up. These show other points of view from within the house, giving you control of those characters as they are pursued and psychologically tortured by the likes of Marguerite Baker, and they are some of the most terrifying and inventive moments in the game, also helping to flesh out the story. The story is one of the most fascinating things about the game, as it is very sparse in its telling. It drip feeds information to the player, through snippets of dialogue and within the text of documents scattered about the place, but rarely gives you enough to fully put the story together. This makes the overall plot a little more vague and may make it difficult to follow for those not paying attention, but it also allows the player to feel like they’re a part of something. That kind of storytelling has been used in Resident Evil before, but only to fill in the gaps around the main plot, so seeing it used to tell the whole story is an interesting thing, resulting in me paying a lot more attention and even pulling me further into the world. Visually, this is one of the finest games around at the moment, and it runs at a smooth 60 frames per second at all times. It doesn’t even have any loading screens beyond the initial load and when transitioning to VHS sections (although those loads can be fairly long), which is an impressive feat for such a large game. The lack of breaks, combined with the silky smooth framerate, makes the technical accomplishment even more amazing. On the way onto the Bakers’ land, in the bright afternoon sun the foliage of the Bayou is gorgeously detailed and the lighting is fantastic, but somehow it becomes even more astonishing once the light disappears. The level of detail on something as simple as the woodgrain on doors and the cobwebs in the corners adds an extra layer of immersion, which keeps you locked in the game world and more susceptible to the horrors that lie within. Those horrors are equally stunning to look upon, from the individual hairs in Jack’s beard and the squirming, wriggly texture of the Molded. The animation is fluid too, with everything and everyone moving as they should, adding incredible realism to the Bakers and a terrifying presence to the Molded. Although the lip-syncing is a little iffy at times, the facial animation on all the characters is very nicely handled, capturing the likeness and performance of real actors. This level of detail makes the Baker family even more terrifying. It’s not all about the smaller details though, as despite this being a very claustrophobic horror experience, it’s still very much a Resident Evil title at heart. There are some tremendous moments that pack a real explosive punch, so as not to completely lose the identity of the series, especially in the third act. Early impressions made it look completely different to the rest of the franchise, so much so as to be unrecognisable, and that worried many fans. But rest assured, this is Resident Evil. It may be a reboot of the franchise but it’s also very much a sequel, offering a huge number of nods to previous installments – there are save rooms, complete with soothing music, and item boxes are back (you can store items in them and access their shared inventory at any box location), and there are even puzzles that hark back to the original games. Yes, puzzles make a welcome return to the franchise, and one or two of them are quite fiendish. There are also multiple ways for certain events to play out, and multiple endings that add replay value to what could have been a very linear game. 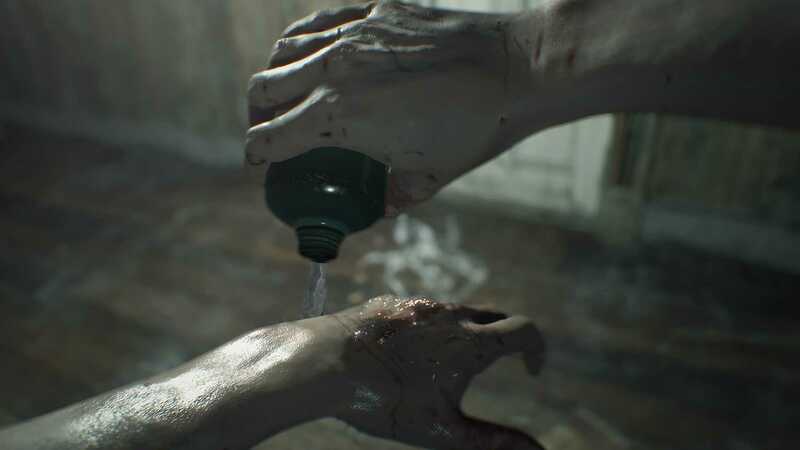 Although the game borrows quite a few elements from previous titles in the franchise, as well as from many others in the horror genre, it’s got quite a few tricks up its sleeve to keep things fresh at all times. The pacing is perfect, always keeping it moving at a steady rate, and it changes things up constantly, so it never gets old. No mean feat for a game that lasts 8-10 hours. This is survival horror at its best, Resident Evil at its best, and it leaves just enough unanswered questions for a sequel, but could work equally well as a standalone story. Though I’m convinced that some of the game’s mysteries will be revealed over multiples playthroughs. Whatever happens next, Resident Evil 7 is the best horror game in years.